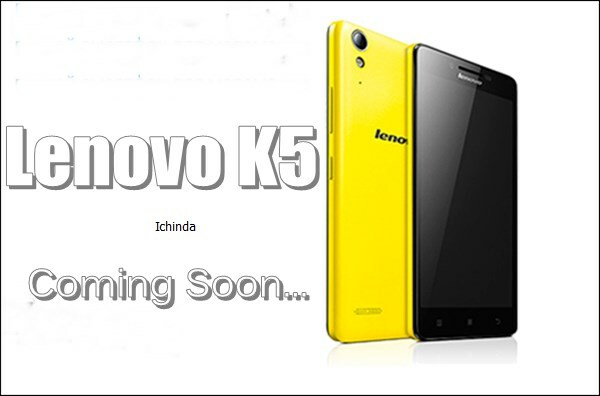 Lenovo K5, the new member of budget phone family coming soon to please the budget phone lovers. Chines smartphone and PC manufacturer, Lenovo planning to launch the successor of Lenovo K3 (CNY 699/Approx. Rs 6,000) as Lenovo K5 featuring Qualcomm Snapdragon 410 with 2GB RAM priced Approx. CNY 699 (Approx. Rs. 7,000) which expected to launch by Sept. priced Approx. Rs 6,999($112). It will take on Xiaomi Redmi 2 Prime. (Rs 6,999). According to Latest Leaks, Lenovo K5 will support Dual-SIM(Micro SIM), 4G LTE, 3G, Wi-fI, Bluetooth,GPS and USB just comes with a bigger 5-inch HD (720×1280 pixels) IPS display, a pixel density of 294ppi with wide-angle HD viewing perfect for watching movies, playing games and reading e-books. Lenovo K5 will run on 1.2GHz Quad-Core Qualcomm Snapdragon 410 processor and runs on Android OS, v4.4.2 KitKat (upgradable to Android 5.0 Lollipop) with 2GB RAM promising blazing multi-tasking while 16GB Internal memory and 32GB expandable memory offers enough space to store your favorite data. Lenovo K5 also offers you a 8-MP rear camera with LED flash promising superior photography in low light and 2-MP front camera best for video calling and selfi. K3 also packed with 2300mAh battery with new Waves MaxxAudio sound system is perfect for listening music. At last few honest word, Lenovo K5 is coming to please the budget phone lovers. What you think? Please be open to give your view and stay tuned for more updates. I want this phone as soon as possible.please register my name as customer.